Uncle Charlie always knows where the back stairs are located. He's bright, outgoing, handsome and witty; one could never imagine him shying away from a conversation in public. However, he has a tendency to disappear out a window or a fire escape just when people are looking for him. Charlie's niece, and his namesake, begins to favor the back stairs as well. She wants to avoid her visiting Uncle Charlie who is always patrolling the parlor or dining room of her family's home, a two-story house with a nice lawn and quirky neighbors. 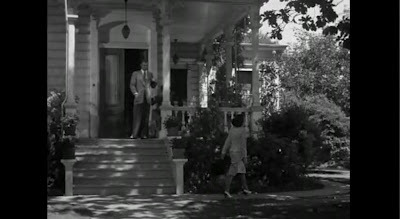 When she ambles up the front walk, there he is, guarding the front porch in his light-colored suit, smoking his cigar. The wooden steps around the back of the house become her preferred entrance and egress. The two Charlies play out this sinister game amidst a sunny, but drab suburban setting. Just the way Alfred Hitchcock likes it. In Saboteur, the film Hitchcock made before Shadow of a Doubt, the entire expanse of America was made claustrophobic. Here, the suspense is telescoped to a pleasant neighborhood in Santa Rosa, and, eventually, the family house itself becomes a prison. The aforementioned back stairs, the garage and the dining room all transform into possible traps. This situation is quite different from the original daydreams of the heroine, Charlotte Newton (Charlie, to her friends and family), when she conjures a visit from her mother's worldly, bachelor brother, Charlie Oakley. Charlotte is bored in her safe little community and she has her well-travelled Uncle on her mind when, almost magically, she receives a telegram informing her that Uncle Charlie is on his way to stay with them for a while! Her elation is infectious as she walks down the street, beaming and chanting, "I knew he'd hear me." 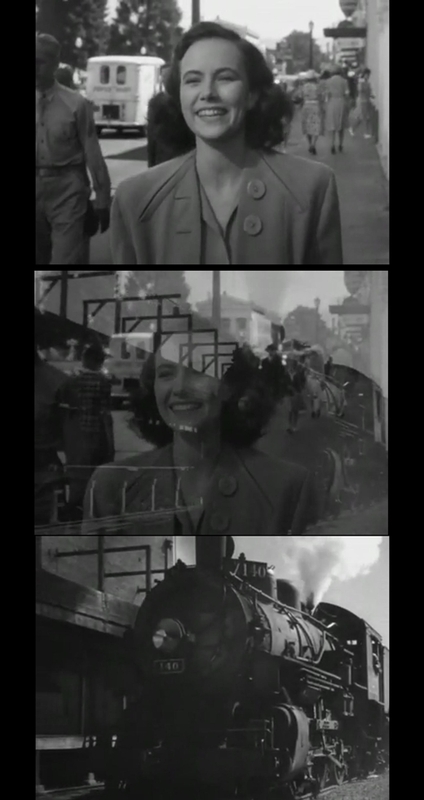 Hitchcock literally dissolves this very innocent and youthful moment into the oncoming force of a locomotive, the train carrying the wayward Charles Oakley. He takes the young Charlie's bedroom for his stay at the family house, while young Charlie moves in temporarily with her much younger sister. 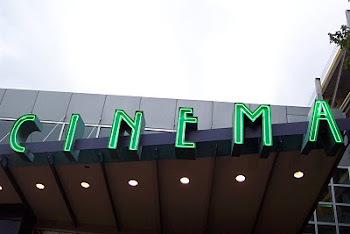 This displacement of the young woman grows as she learns more about her Uncle and his strange finances and idiosyncrasies - he always carries large amounts of cash and he doesn't like his picture being taken. Soon, some reporters arrive to do a story on the Newton family. But are they really reporters? Uncle Charlie seems very wary of them and when one of them snaps his photo, he insists on them surrendering the film. Uncle Charlie transforms from a charming bachelor, to an odd duck ,to a dark presence as the visit from the "outside" world that young Charlie so longed for takes up residence with more baggage than she ever anticipated. Their boring household is now unsafe as the young Charlie learns a terrible secret about Charles Oakley. 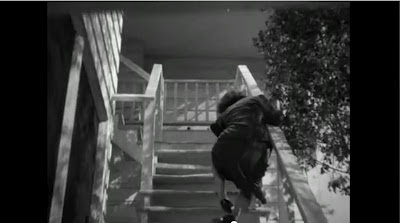 In fact, she literally has to watch her step - did those boards that tripped her come loose on their own? Hitchcock seemed to have found a very good collaborator in screenwriter Thorton Wilder. Wilder's Pulitzer-Prize-winning play Our Town almost invented the idea of death lurking behind the ideal image of small town America. "The cities are full of women, middle-aged widows, husbands, dead, husbands who've spent their lives making fortunes, working and working. And then they die and leave their money to their wives, their silly wives. And what do the wives do, these useless women? You see them in the hotels, the best hotels, every day by the thousands, drinking the money, eating the money, losing the money at bridge, playing all day and all night, smelling of money, proud of their jewelry but of nothing else, horrible, faded, fat, greedy women... Are they human or are they fat, wheezing animals, hmm? And what happens to animals when they get too fat and too old?" This is quite a strain for the young Charlie as she finds herself desperately trying to avoid her Uncle, The house becomes strange to her, and ultimately dangerous. For instance, she shares an intimate moment of romantic revelation in the house's garage, only to later find the same location is a deadly snare. It is not news to anybody that Hitchcock got a great amount of joy in pushing these macabre ideas to almost perverted ends. His camera seems to take strange pleasure in robbing Young Charlie of her innocence. He lingers on her broken spirit as she realizes evil in the world can survive and thrive, even in the knowledge and view of the righteous. She sees evil, but can do nothing about it. In a final toast, and a tender moment with his sister, Uncle Charlie reveals the secret he has learned, that the instinct to preserve the idea of "home" and "family", and by extension community, can provide cover for sinister doings. 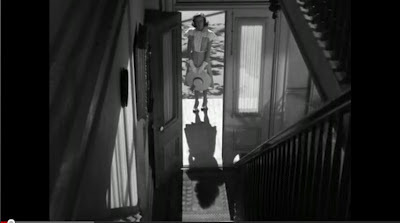 Shadow of a Doubt moves Hitchcock a little further into the psychology of domestic life being invaded and taken advantage of by sinister forces. Rebecca and Suspiscion had already probed the infestation of marriage by psychopathic and cynical agents, but Shadow simultaneously expands this vision and turns it inward. Art Hennessey is a playwright, actor, teacher and director. He was the Founder and Co-Artistic Director of Essayons Theatre Company.